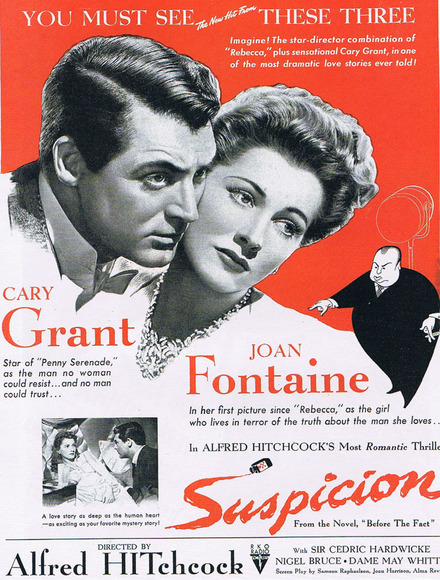 Suspicion is the 1941 Hitchcock RKO thriller that earned Joan Fontaine an Oscar, and cast her co-star, Cary Grant, in an uncharacteristically dark role. Hitchcock is known, of course, as a master of the suspense. In this film, the focus, as its title indicates, is on the psychological tension generated by the brooding concern that evil threatens one. That concern, of course, is the hallmark of paranoia. In the film the protagonist, a shy young Englishwoman encounters a dashing and seductive man who sweeps her into a marriage. Clearly thrilled, she is troubled by on-going episodes of a reckless manipulative streak in him, one that culminates in the likelihood that he murdered his best friend for financial advantage. Her attempt to shake off her growing sense that she, too, should fear him is deftly symbolized in her continual need to reach for her glasses, to clear her vision. In this version of the original story, her suspicions prove ungrounded, an outcome that Hitchcock later claimed was decreed by the studio’s wish to protect Cary Grant’s positive image. But the climax of the film is clearly the moment when Grant, shrouded in shadows, carries a glass of milk to his ailing wife. Grant had earlier been seeking information about untraceable poisons, and, as he walks up the stairs to the bedside of his wife, the milk-filled glass is eerily luminescent. We are sure it is poisoned. The film’s grip on the viewer testifies to the resonance of the Kleinian view of a universal, very early, preverbal, struggle to deal with a maternal image that is the antithesis of nurturant, that is poisonous. 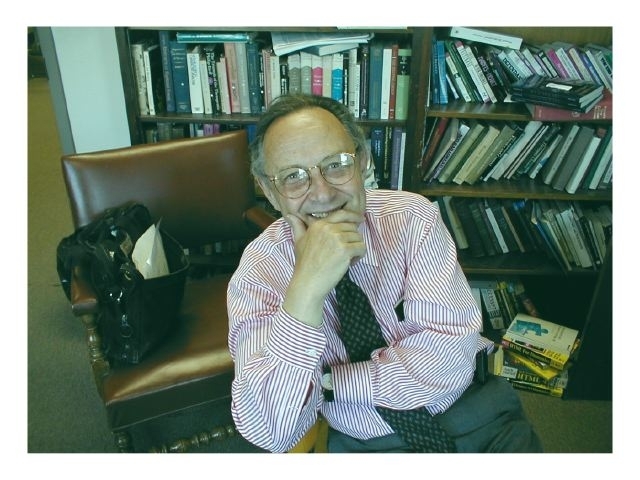 Melanie Klein and other British Object Relations psychoanalytic theorists draw our attention to early infantile experience before positive and negative parenting interactions are integrated in the child’s mind, when the infant’s fearful/rageful parenting exchanges are not integrated with gratified/loving ones. Idealized positive maternal images are closer to consciousness. But deeply buried primitive and powerful archetypal experiences of a dangerous parent exist as well. They find cultural expression in the fairy tales of evil step-mothers, like the one that offers Snow White a poisoned apple; they are reflected in the oral seduction of the candy house in Hansel and Gretel and in the wicked witch of Oz’s assault on Dorothy. They feed the persistent urban myth of poisoned Halloween treats. It is Hitchcock’s genius that, Kleinian or no, he crafted this film to tap this universal concern. This entry was posted in Shrink at the Flicks on November 19, 2013 by DeveloperDash.